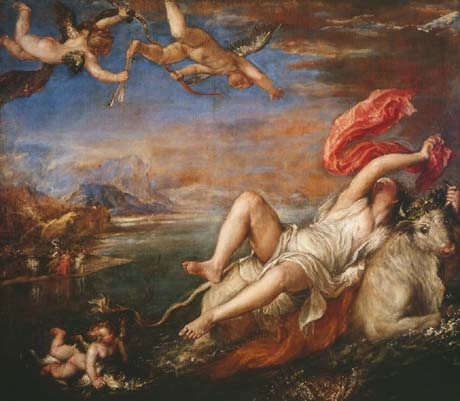 Europa was a Phoenician princess, from whom the name of the continent Europe was taken. She was carried off to Crete by Zeus, in the guise of a bull, and there bore him three sons. Their son Minos became the first leader of Crete’s Minoan era (circa 2600–1450 B.C.E.). Europa later married Asterius, the king of Crete, and was Crete’s first queen. She was worshiped in Crete under the name of Hellotis (a name sometimes also associated with Athena), and there the festival Hellotia was held in her honor.